Sanskrit boy name Sukhanidhi (Sanskrit सुखनिधी) literally refers amentities for services fund. The baby name Sukhanidhi is a Sanskrit compound, joining the words Sukha, meaning pleasant, joy, happy and Nidhi, meaning fund, treasure. Thereby, Sukhanidhi can be loosely translated as "treasure or a fund for happiness". Sukhanidhi is not a popular name in the US as indicated by the popularity charts. 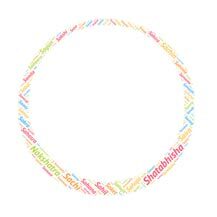 According to the data gathered from social networking sites, Sukhanidhi is an unusual baby name. In our opinion, Sukhanidhi is a rare name. Sukhanidhi is a very good name from the Sanskrit origin with good meaning attached to it. Sukhanidhi is not popular in the USA, because it is longer with 4 syllables and difficult to pronunciation too.